Healthy nutrition plays an indispensable role in reducing IC-related symptoms and in increasing the quality of life of patients with IC. But healthy living consists of more than healthy eating and exercising; it’s requires a permanent lifestyle change. 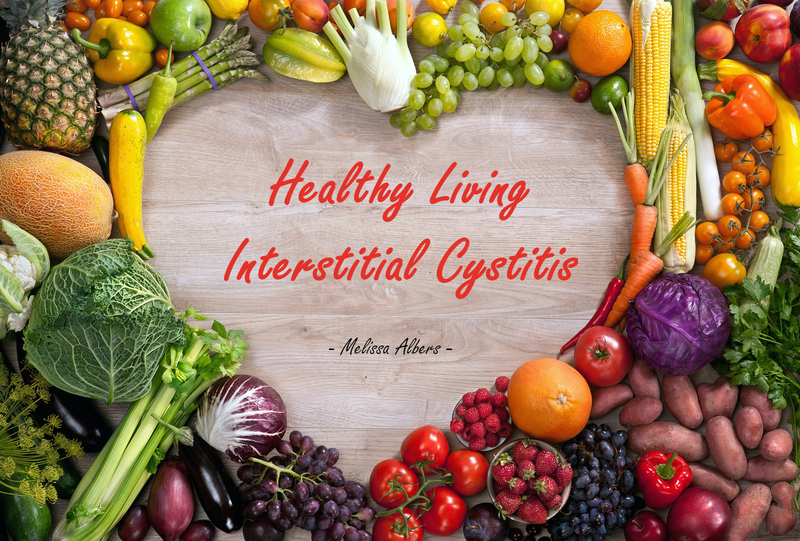 Almost every chronic condition, including IC, has some underlying similar factors such as chronic low-grade non-bacterial inflammations, hormonal imbalances and nutritional depletion. If measurements against these three factors can be undertaken, patients will significantly experience fewer symptoms and discomforts (e.g. pain, incontinence, urgency, etc). Healthy eating plays an indispensible role in this process. But what can be considered as ‘healthy food’ for IC sufferers and what kinds of food should be avoided? How can IC patients maintain a healthy balanced diet whilst also excluding anything, which is not IC friendly? And are there additional factors, which should be taken care of? The top priority in reducing IC-related symptoms is to reprogram and strengthen the immune system. This step is required in order to be able to stop the inflammation. The most important pro-inflammatory substances in foods are sugars (E.g. sugar, refined carbohydrates and starch), processed fats, gluten, chemical substances and toxins. Besides that, histamine-rich foods can also have pro-inflammatory properties. Sugars promote inflammation in various ways. During the digestion of sugar, the body uses essential vitamins, minerals and trace elements. This will eventually result in depleted body cells. Eating sugar also results in extreme fluctuations of your blood glucose levels. These fluctuations result in extremely increased insulin and cortisol levels. This is not only affecting the liver function, but it also damages body cells. Both of the above-mentioned situations result in an abnormal cell metabolism (inefficient cell function), which causes inflammation and interference with the self-healing ability of body cells. In addition, a high deficiency in vitamin B12 creates enhanced nerve sensitivity, which causes and increases (nerve) pain, frequency and urgency. Sugars also make the body more acid. Acidification increases inflammatory activity and can further intensify IC symptoms. Although caffeine is technically not a sugar, it has a comparable effect on the body. Therefore patients with IC should avoid all caffeine containing foods like coffee, black and green tea, soda and cocoa products. The consumption of processed fats also causes abnormal cell function and creates an incomplete, unhealthy cell metabolism. This promotes inflammation and the storage of toxic substances in body tissues. A healthy and efficient cell metabolism is essential in achieving and maintaining a healthy body function. Gluten is a type of protein in grains that can damage the intestines, which results in a disability to smoothly and completely digest food. This has negative effects on the metabolism and immune system; both become over-stimulated. The majority of IC patients are hypersensitive with regard to gluten. Therefore IC related symptoms often increase after the consumption of gluten. Chemical substances like food additives and toxins are also pro-inflammatory substances. All products, which contain preservatives, stabilizers, colorings, fragrances, flavorings and artificial sweeteners, should be avoided. The easiest way to do this is by avoiding pre-packed food and by using only fresh and organic products. Histamine rich foods or histamine-releasing products often cause more or more intense IC symptoms. Histamine is a substance that the body produces (in abundance) in case of a sensitivity or allergy to a particular substance. An IC friendly diet consists of 100% unprocessed foods and at least 2 litres of filtered water a day. It should be noted that every IC paptient should receive an individuel, taylor-made food plan in order to make sure that his or her needs and sensitivities are resepected. The personalized IC diet is high in fibres and nutrients and forms the basis of a healthy and balanced diet. Even though an IC friendly diet is packed with nutrients, it is important to replenish depleted body cells with the help of dietary supplements. IC patients need such high amounts of nutrients, that it is impossible to gather these from food only. The use of acid-free vitamin C, vitamin D3, B-vitamins and magnesium supplements is indispensable. Substances like particular antioxidants as well as probiotics and psyllium husk may also help the body to become stronger and healthy. It depends of the patients’ personal needs if other supplements might be also useful. It should be noted that there are a lot of different types and dosages available and that not all sorts are IC friendly. A health care professional (preferably specialized in IC) should be always contacted first to assure that the chosen supplements are IC friendly, effective and safe to use (especially if the patient also uses prescribed medications). Exercise plays an important role in the approach of IC, because physical activity has a positive effect on the hormonal system and helps to build muscle mass. This helps to inhibit an overactive immune system, improves the mood, boosts the energy level, stimulates a good night’s sleep, and, last but not least, can be fun and social. Exercising gives IC patients a chance to unwind, enjoy the outdoors or simply engage in activities that make someone happy. This can also help to connect with family or friends in a fun social setting, which is an important step to (temporally) forget everyday’s worries and discomforts. Patients with IC should remember to always consult their GP or doctor prior to starting a new exercise program, especially when they haven’t exercised for a long time. Next to avoiding harmful substances, following a strict and balanced diet, taking dietary supplements and exercising, IC patients should not forget another factor, which plays a major role in the battle against IC: stress. Stress creates hormonal imbalances and can cause as well as increase IC related symptoms. Stress can consist of physical or mental stress. Examples of physical stress are physical injury or chronic irritation of (bladder) tissue, which can be caused by pressing too hard when urinating or inserting tubes in the urethra (for bladder instillation) or abnormal hormone levels (due to mental stress, an imbalanced diet, the use medication, etc.). Mental stress includes anxiety, fear, depressed feelings and other negative emotions. At a deeper, cellular level the body is exposed to (chronic) stress very often, even though the person itself does not necessarily feels stressed. Regardless of the kind of stress levels a patient can experience, stress should always be treated properly. The only way to recognize and decrease stress levels and to obtain reliable information about healthy, IC friendly food, effective dietary supplements and save ways of exercising is to seek for professional help. 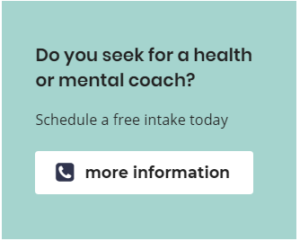 The role of a therapist or coach, which is specialized in the whole pathogenesis of IC, is indispensable if an IC patient wants to tackle his or her condition effectively.